iMall is a new value-based shopping destination, situated at a prime location on the very busy Al Ittihad Road, connecting Dubai-Sharjah. It will attract huge footfalls from discerning customers and shoppers to a central shopping and entertainment destination where they can shop, play and dine. 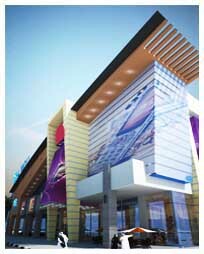 The mall offers approximately 60,000 sq ft market space with shops and showrooms. iMall also offers a wide collection technology products with the latest electronics and most advance IT solutions displayed by leading retailers under one roof. iMall is designed to meet international standards focusing on one-stop consumer satisfaction with customized lifestyle experience offering innovative and branded products and accessories across categories ranging from fashion to electronics and much more!